Reacting to the reality that Millennials are getting creative on YouTube, Instagram, and other sites, Adobe has announced a new student and educator discount that will give each k-12 student access to the entire Adobe Creative Cloud catalog for under $5.00 a year! Adobe’s decision to offer deeper secondary education discounts was based on a recent study that showed that creative problem solving is not only higher paying, but less likely to be affected by automation. The study also indicated that limited educational budgets prevented teachers from offering the kind of creative education that builds skills to support creative professions. The Spark for Education Initiative was created in January, which gave kids access to storytelling apps free of charge. Based on the success of that Initiative, Adobe moved to expand the program by giving students and educators access to Creative Cloud so that schools could provide software that is up to date for all kids. I know this personally, as my son’s photography class is currently using software that is over a decade old. 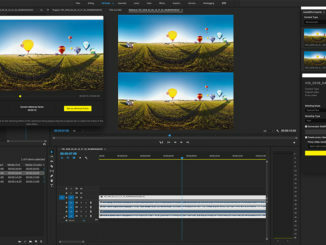 By offering Creative Cloud for less than $5 a year per student and educator, schools will be able to train kids on software and techniques that are up to date, and will gain access to new tools as Adobe brings them online, which is often 3-4 times a year. 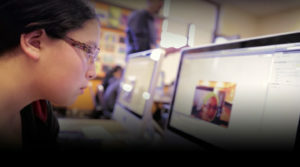 … because access to Creative Cloud was limited to the computer lab, they had to dedicate much of their class to students working on their project. They could not spend as much time as they wanted to teach students the principles of design and visual communication. With the new user licensing we are announcing today, students can continue working on projects at home, and on any device, simply by logging in and opening the apps and services they need. Additionally, through the Edcamp Foundation, Adobe will be giving educators hands-on training through professional development workshops centered around Creative Cloud in the Classroom and the Spark for Education initiative. There is a minimum requirement of 500 licenses per school, or 2,500 licenses per school district to qualify for the discounted rate. But when you consider that schools now offer elective classes in everything from photography, to web design, to video production, that minimum requirement is very realistic. So the next generation of filmmakers will be able to get training in school, and then carry that training, and software access outside the classroom to practice what they’ve learned. 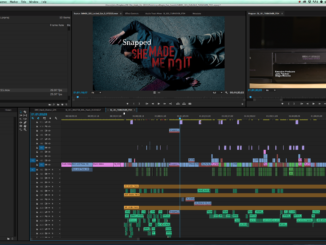 This is the kind of forward thinking that keeps Adobe leading the charge in content creation, in my opinion. 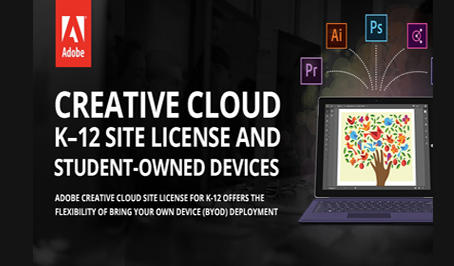 Beginning May 15, 2018, the full suite of Adobe Creative Cloud apps will be available to K-12 schools via their authorized Adobe reseller for $4.99 per user license, per year.